The Ikan Delta DH7-V2 high bright monitor features 4K HDMI capabilities and 3D LUTs support all within a lightweight, affordable package. 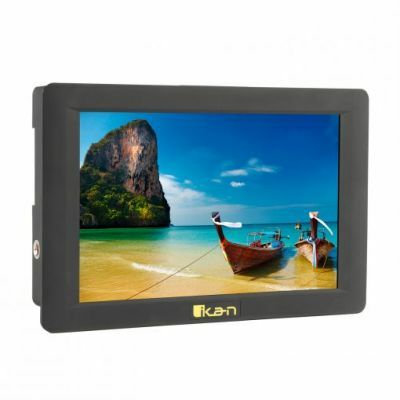 The 7″ monitor’s 1920×1200 HD resolution combined with a 1200 nit screen delivers vibrant color and strong viewing angles even in outdoor environments. Being able to install cube files for a 3D LUT preview will ensure that what you’re shooting turns out the way you want. The DH7-V2 has the versatility of being able to use either just one or two L series batteries.